How to Take Great Photos With Whatever Camera You Got! In How to Take Great Photos, professional photographer Peter Tellone teaches you the fundamental skills you need to take great photos with whatever camera you got! Whether you've got a simple point-and-shoot or the latest DSLR, you'll learn the basics of what every photographer needs to know to make their shots count. Covering topics ranging from light, composition, exposure and aperture, to adding the finishing touches to your shots using editing software, you'll learn how to get 'that look' of photos you see in magazines or online without needing to spend hours upon hours studying photography resources. 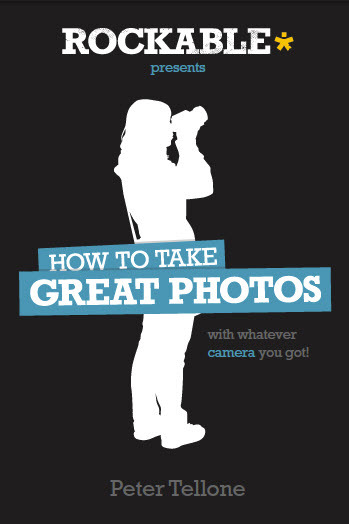 Whether you want to start taking photography seriously as a hobby, or simply learn the basic skills to understand your camera's settings and take photos you will treasure in the years to come, How to Take Great Photos is packed full of down-to-earth advice. It's time to stop taking snapshots, and start taking photographs. Peter Tellone is a freelance photographer, writer and photography teacher based in Southern California. He specializes in high dynamic range (HDR) imagery and landscape photography. He is a founding member of an exclusive group of photographers known as DB5. Peter can be reached at peter@groundupphotos.com. His website is groundupphotos.com, and his blog is thehdrimage.com. You can also follow him on Twitter under @Moosepix.